I've got another from the China Glaze Wicked collection for you today, and it's the final one that I purchased. 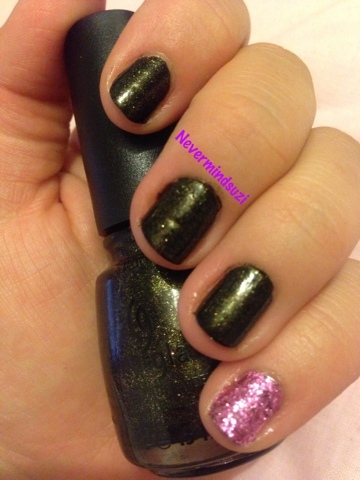 Cast a Spell is a deep onyx black with a gorgeous gold/olive shimmer running through it. This applied amazingly well and 1 coat would have been full opacity but as usual I went for 2. 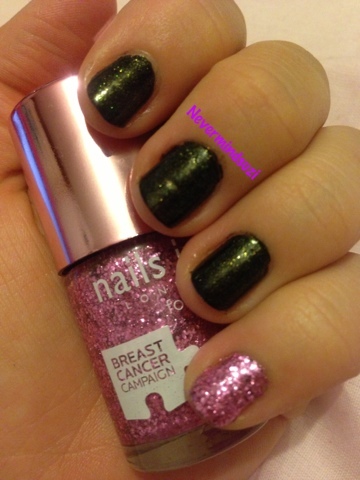 Today's pink pinkie was done using Nails Inc Pinkie Pink which was 3 coats for full opacity. Will you be getting any of the Wicked Collection? ?